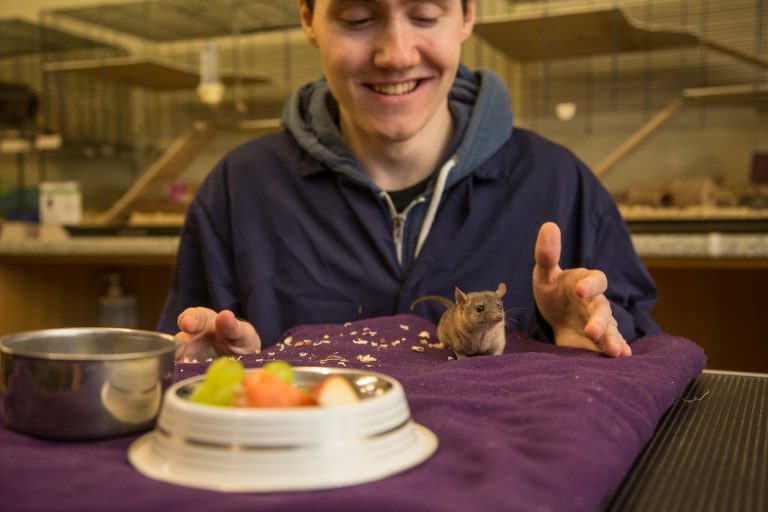 This is a wide ranging foundation degree that incorporates contemporary issues in the animal science sector, including animal behaviour, welfare, sustainability and conservation. The course focuses on enhancing your employability and career prospects by developing your academic, vocational and transferable skills. You will work in our well-equipped laboratories, and may participate in work experience with a land-based employer in order to gain valuable practical experience. You will also work with our extensive collection of over 100 animals, including companion, livestock and exotic species such as meerkats, reptiles, amphibians, pigs and goats. The teaching team offer an excellent level of support, enabling you to learn from experienced practitioners who can help develop your skills and advise you on career opportunities and working practice. 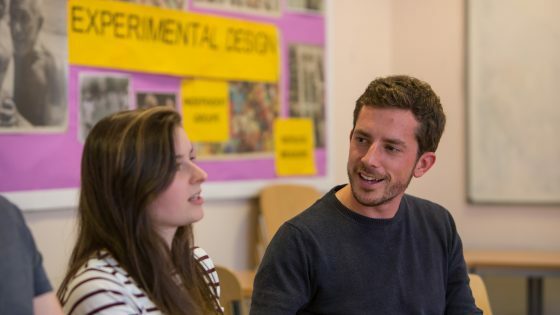 Your studies will give you the opportunity to select a subject that interests you, enabling you to specialise in a specific area and develop a highly advanced skillset. You will develop your practical, research and communication skills, and upon completion you will be a well-rounded, confident and independent practitioner, capable of succeeding in whichever profession or specialism you choose to progress in. To enrol on this course, you will require 48-60 UCAS points, from at least one of the following: A Levels, BTEC Nationals, Access to Higher Education Diploma, NVQ Level 3 or equivalent qualifications. 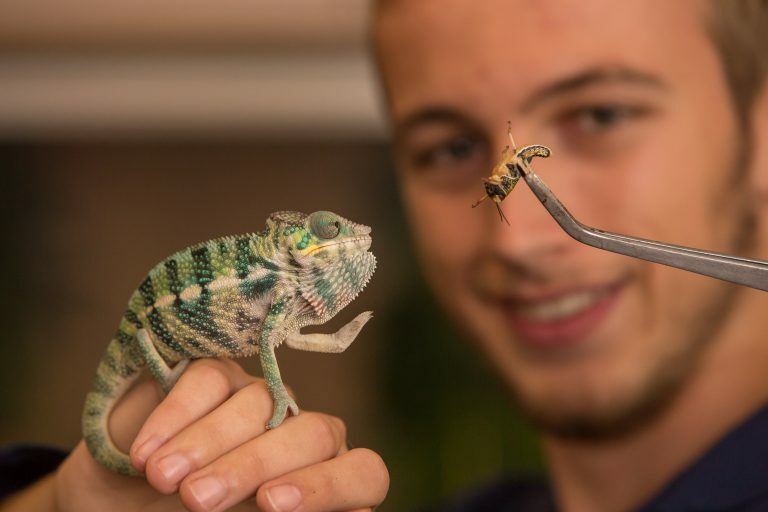 You will also require GCSE English and Maths at grade A-C.
You will learn from dedicated sessions where you engage in husbandry with our animal collection, gaining, valuable, practical animal-handling skills. You will also learn from activities such as debates, group tasks and lectures. The course features various field trips to enhance your learning, with previous cohorts visiting South Africa, Transylvania, Scotland and London. We work closely with organisations such as Paignton Zoo, Living Coasts and the Torbay Coast and Countryside Trust, providing you with the opportunity to build your own industry links. You will also benefit from guest speakers, learning from the experiences of practitioners and gaining a valuable insight into working practice and life. 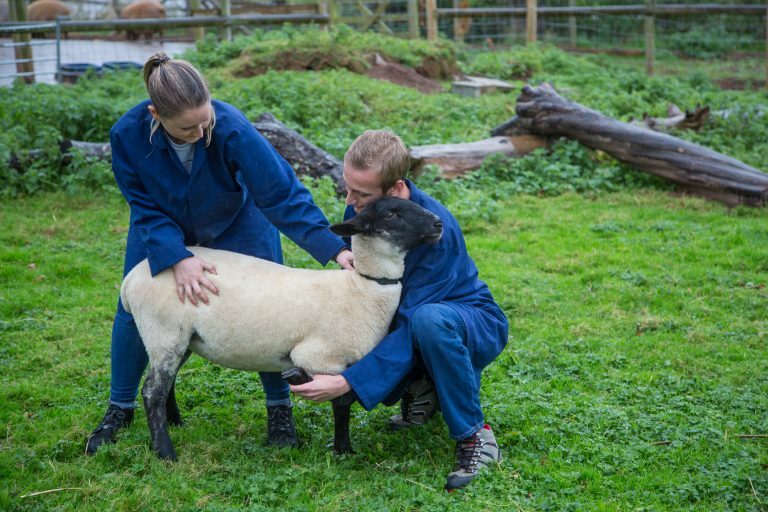 A career in animal science will require you to consistently update and refresh your existing knowledge throughout your working life, which is why we encourage your development as an independent thinker with comprehensive research skills. Alongside this, your practical skills will be developed through work experience of a minimum of 20 working days with a land-based employer in a relevant sector. You will be assessed through both examinations and coursework. This could be an essay, a scientific report, field work or a presentation, all of which require supporting research to develop a strong understanding of the topic. Each module is worth a specified number of credits: you take a combination of compulsory (and if available optional modules) enabling you to cover key subject knowledge while developing your own interests. For full time students a total of 120 credits will be studied in each academic year. In the majority of cases this will consist of 6 modules. For part time students it will depend on the intensity of your studies. The balance of assessment by examination/test, coursework and practical depends to some extent on the optional modules you choose. The approximate percentage of the course assessed by coursework is as follows: Year 1 - 75% coursework 20% exams/test 5% practical Year 2 - 73% coursework 17% exams/test 10% practical Timetables are normally available one month before the commencement of your studies. As a guide, In 2017/18 the first year of this programme was timetabled on: Wednesday/Thursday/Friday. The second year was timetabled on a Tuesday and Friday. Upon successful completion of this foundation degree you may progress to the final year of the BSc (Hons) Applied Animal Science top-up at UCSD, or the final year of the BSc (Hons) Animal Conservation Science or BSc (Hons) Animal Behaviours and Welfare degrees at the University of Plymouth. Please note that there is a deadline for progression applications and places may be subject to availability. Alternatively, you could immediately seek employment in the animal science sector, where you will be suitable for a variety of roles and professions.